GT4’s meteoric rise also continues in 2018 with three new manufacturer, BMW, Jaguar and Mercedes-AM, joining five existing brands: Aston Martin, Ginetta, McLaren, Nissan and Toyota. 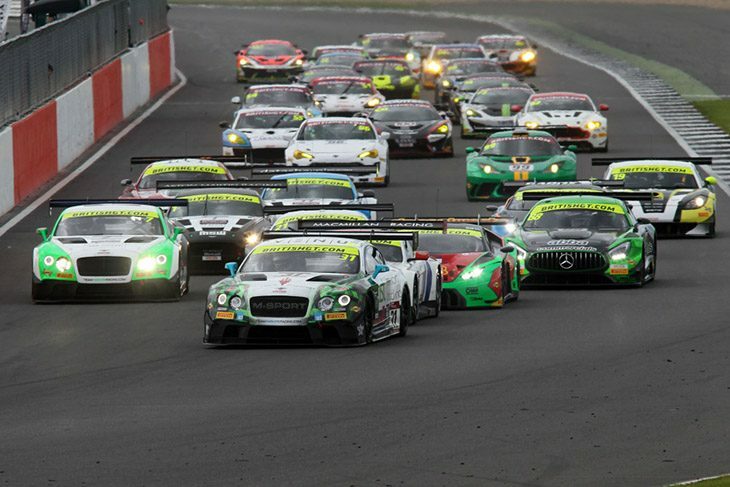 Together they represent the largest and most diverse full-season entry assembled in British GT4’s 11-year history, with 23 cars and eight manufacturers split across 14 teams. Aside from the entry list, McLaren and British GT also used today’s Media Day to announce an extension to their official Safety Car partnership. The deal, now in its third season, will see a variety of McLaren Sports Series models, including the 540C Coupe, 570S Coupe, 570GT and recently-launched 570S Spider, taking charge of all nine races throughout 2018. 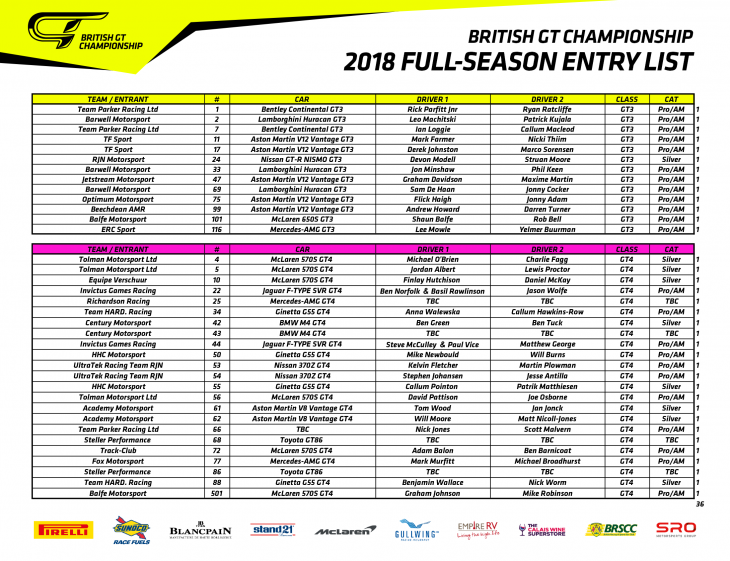 Championship Manager Benjamin Franassovici: “2018’s British GT Championship entry list features all the ingredients necessary to serve up a classic season, and in terms of quality – drivers, teams and manufacturers – it could well turn out to be the best in our history. “Both classes look exceptional, with GT3’s Pro driver roster understandably grabbing most of the early headlines. But it’s also great to see new teams and Am drivers joining the class, while we’re delighted to welcome back full-season Nissan and McLaren entries. “An influx of new cars has also helped GT4 take another step forward; it’s incredible to have 23 full-season entries represented by eight manufacturers this year, and more to come on a race-by-race basis at our larger venues as 2018 progresses.